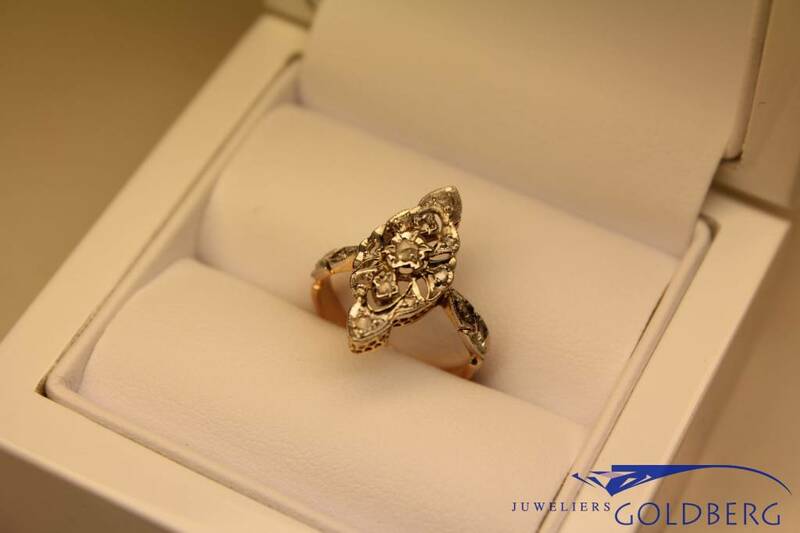 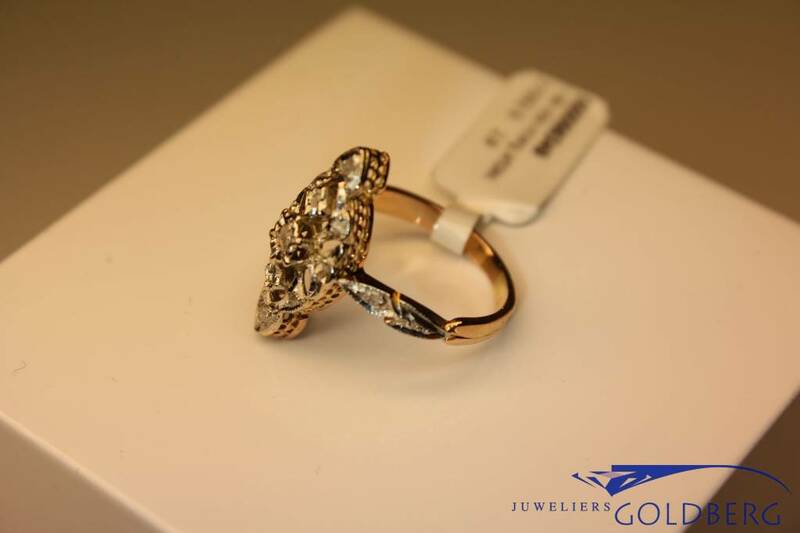 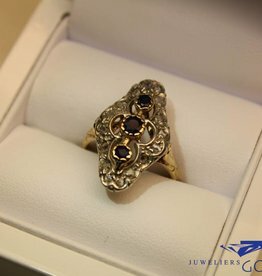 [reserved] Very pretty and classy 18 carat gold Art Deco ring. 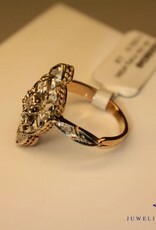 The ring is rose gold set with diamond (old diamond slices) on the sides and top in white gold. 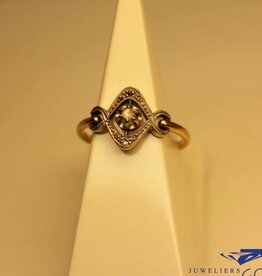 On the inside of the ring at the bottom a little color difference can be seen ring, due o the fact the ring was once resized using yellow gold instead of matching rose gold. 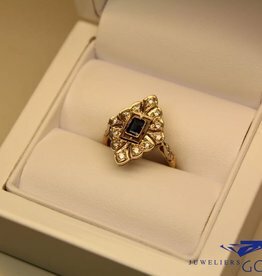 This can be seen in the pictures. 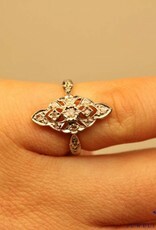 The ornament is 19mm long and 9mm wide and the ring itself has size 15 3/4. 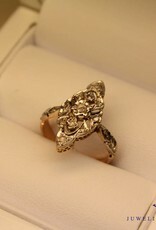 The ring is from the early 20th century and was then imported into France (French stamp "owl in oval"). 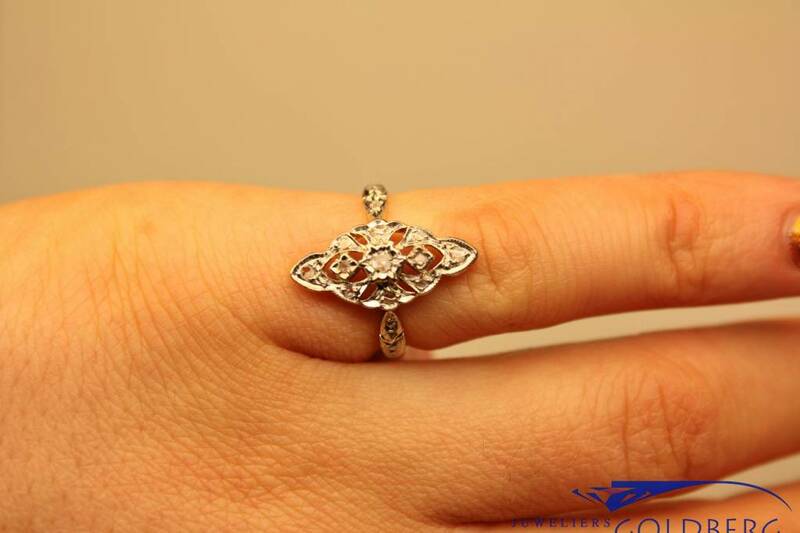 A very stylish ring!